Toot-toot! Here comes the fun train! Toot-toot! And there it goes, too! 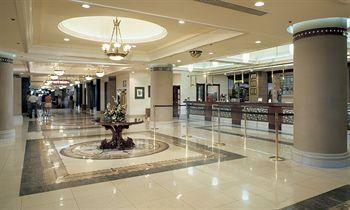 There are two types of rooms at the Palace Station Hotel Las Vegas, tower and courtyard. The tower rooms are spacious and were recently updated with modern furnishings, large flat-screen TVs, pillow top beds, granite counter tops, and rainfall showers. Depending on your room's locations, you'll either have breathtaking views of the beautiful mountain scenery, Downtown Las Vegas, or a panoramic view of the glistening Vegas Strip. Although the courtyard rooms at Palace Station Las Vegas are affordable versions of their the luxury suites, they are not lacking in quality or amenities. They are perfect for travelers on a budget. Whether you're a hotel guest or local, the staff at the Palace Station Hotel Las Vegas is very helpful and accommodating. Need extra towels? Don't hesitate to call the 24-hour front desk and request a few. They'll be at your room in a jiffy. 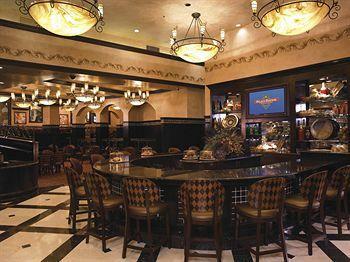 Palace Station Casino Hotel Vegas also offers a variety of amenities for guests. 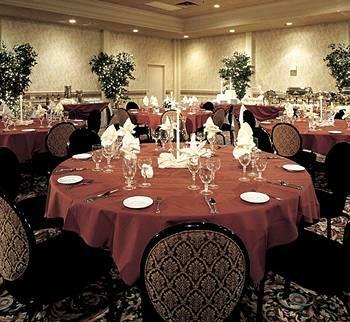 Order a satisfying meal from their 24-hour room service, look into their personal dry-cleaning and laundry facilities, and even book a wedding or business event! Due to its off Strip location, Palace Station Hotel and Casino Las Vegas offers convenient free shuttle to the Strip and to or from McCarran International Las Vegas Airport. The Palace Station Hotel Las Vegas offers all the basics you need to clean up! The citrus smelling shampoo and conditioner will rid your hair of all that ill-smelling smoke and leave you feeling fresh. It's definitely an older crowd made up of locals at Palace Station Hotel Las Vegas so you won't have to worry about loud music playing in the wee hours of the morning or rambunctious children screaming for candy. You may have a few youngsters who accidentally thought they were getting a room on the Strip, but for the most part, customers are locals. Two pools and Jacuzzis tempt guests at the Palace Station Hotel Las Vegas. Since the pools are seaperated into North and South sections, guests are not cramped into one swimming area. If you're feeling a little parched under that Vegas sun, Palace Station Las Vegas also offers poolside drinks and food. Check out the menu located next to the pool's phone. 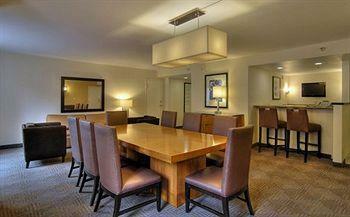 If you're looking to stay somewhere off the Vegas Strip this could be a good option. You can't walk anywhere, but there is a free shuttle if you want to wait for it. And the rooms are decent. The Palace Station Hotel Las Vegas is what you would call an old fashioned casino. Several Strip casinos are so modern and high-tech that sometimes you can't figure out how to work them! If you're not the most tech-savvy gambler and looking for a bit of that old Vegas charm, then Palace Station Hotel Las Vegas is your best bet. 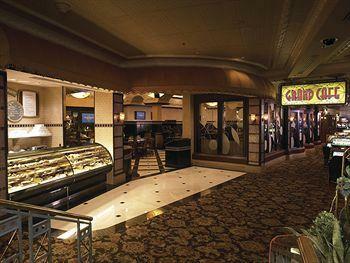 The casino offers 40+ tables and a wide variety of choices. From blackjack, craps, roulette, Let It Ride, Baccarat and Pai Gow, you're bound to find something to your liking. Watch out for single deck blackjack, because they pay that heinous 6:5 on blackjacks. The bet minimums at Palace Station Hotel and Casino is $5 most of the time. Craps offer 10x odds, usually at a $5 minimum. Pai Gow minimums are usually a little higher, starting around $10 while Roulette is $1 chips with a $5 minimum. Palace Station Hotel Las Vegas offers slots from a nickel to $25. Sign up for a player's card, you'll rack up points quickly at the slot machines. 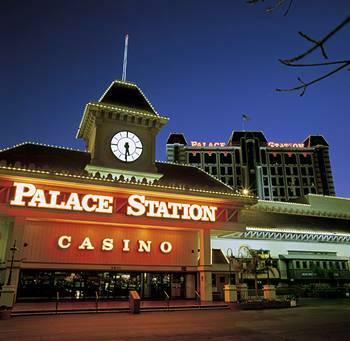 Loyal patrons of the Palace Station Hotel and Casino Las Vegas opt to gamble at a locals' casino because of the atmosphere. Many guests feel they can sit at the machines for hours without feeling pressure. The cocktail service at the Palace Station Hotel Las Vegas is pretty good compared to most locals' casinos. If you play long enough, the waitresses are known to bring you anything you wish to drink and are quick to refill your empty glasses. If you're a local and loyal player at the Palace Station Hotel Las Vegas, your comps will be very good! The program as other Coast properties, pays about 0.10% back with a few double or triple point days in there. Always get a player's card and you'll see the rewards rack up quickly. The Palace Station Hotel Las Vegas offers 40 televisions for guests to enjoy their favorite racing and sports filled events. Whether its NASCAR, College Basketball Championships, College Bowl Games, Pro Horse Races, Pro Football World Championships, or the Pro Baseball World Championships, whatever it is- it's guaranteed to be on the big screen! There are about 60 plush leather seats for sports and about 100 TV seats for race bettors at the Palace Station Hotel Las Vegas. Boy, people here sure love those pretty horses. It's all slate signboards at the Palace Station Hotel and Casino. There are eight windows for sports and nine for ponies. Free drinks at the Palace Station Hotel Las Vegas? Yup, you may have to play for a while. As always, the cocktail waitresses will warm up if they see a familiar face. 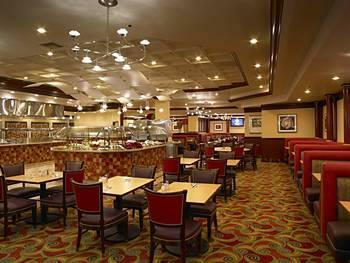 There are quite a few good eateries inside the Palace Station Hotel Las Vegas. Take a break from gambling and head to Broiler Steak and Seafood, Feast Buffet, Cabo Mexican Restaurant, Oyster Bar or Pasta Cucina. For lighter options at Palace Station Casino Hotel Las Vegas, visit the hotel's Starbucks, Grand Cafe, or Food Express Chinese Restaurant. Sometimes we just don't want to bet on anything as big as a horse at the Palace Station Hotel Las Vegas. 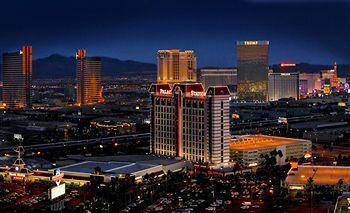 However, one plus is they have greyhound racing wagering at Palace Station Hotel and Casino Las Vegas. Also, be on the look out for the cool horse racing mural on the far wall! There are about nine poker tables at the Palace Station Hotel Las Vegas. Usually, about six or more tables are going so you'll have a high chance at snagging a spot- if you come early! Ahh- the chairs are pretty nice at the Palace Station Hotel Las Vegas! The plush chairs come with arm rests and rollers. You may find yourself wanting to take a quick nap to recharge from all the gambling! The poker room at the Palace Station Hotel Las Vegas is closed off and a little isolated. It's a decent sized room, especially for an off-Strip little place. There are even a few TVs so you can get easily distracted. 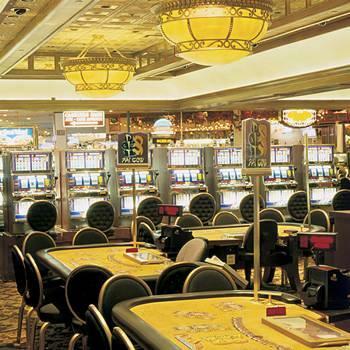 The game spreads and limits at the Palace Station Hotel Las Vegas start at $2-$8 for Hold-em. Sometimes they run $1-$2 no limit games. 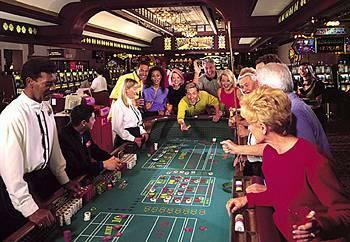 Palace Station Hotel and Casino Las Vegas sometimes offers Omaha hi-lo game for all you old timers. Unfortunately, Palace Station Hotel Las Vegas offers no lessons. Since the casino is frequented by expert locals, they suggest you newbies go online for a few tips and pointers. Palace Station Hotel Las Vegas is a popular locals room and they have nice rewards for frequent players, so it can be crowded. On weekend nights, you may have to wait as long as an hour. Thank God they have all those Video Poker machines nearby to kill the time. Free drinks while playing at the Palace Station Hotel Las Vegas. $1 in comps per hour of play. Sometimes, they also have extra comps for playing in the wee hours of the morning. There are a ton of local characters at the Palace Station Hotel Las Vegas. 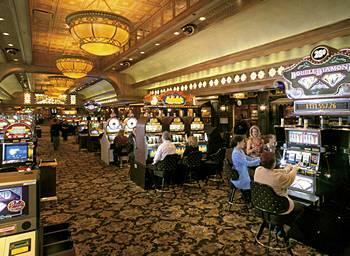 Don't wander into Palace Station Hotel and Casino Las Vegas as a newbie wishing for beginner's luck expecting to win. These locals have their own way of playing. Palace Station Hotel Las Vegas does high-hand jackpots, which are great if you're the kind of person who gets high hands! 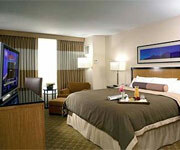 The basic room at the Palace Station Hotel Las Vegas offers either one king bed or two double beds and a desk. Browse the Internet if you bring your laptop. 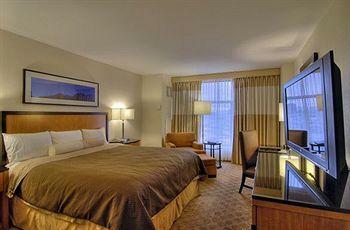 The room comes with voice mail access on the phone and cable/satellite on the TV. You can request a refrigerator at Palace Station Hotel and Casino Las Vegas if you plan on bringing home a lot of leftovers from the Strip while you're out. Unfortunately, guests will probably have skip out on their bubble baths when staying in a courtyard room. Most of the courtyard rooms only have showers. Also take your smoking outside! All rooms are non-smoking, don't get caught setting off the smoke alarm! 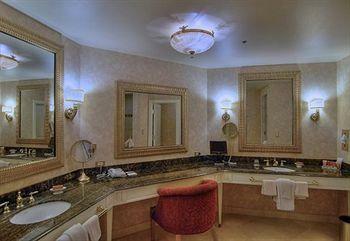 Choose a luxury suite with either one king bed or two queen beds at the Palace Station Hotel Las Vegas. 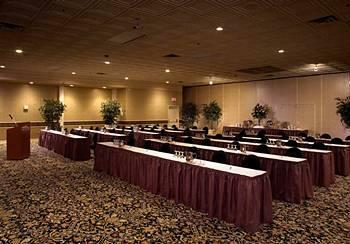 The stylish decor is quite the upgrade from the more affordable courtyard rooms. You can choose from a shower or a shower/tub combo, in case you really do want your bubble bath. You'll also have a desk, voice mail, a flat screen TV with cable/satellite and pay movies, and refrigerator upon request. Some would think that the Luxury Suite would be the best choice, but at Palace Station Hotel Las Vegas, the Petite Suite is the best room in the house. All the Palace Station Las Vegas Petite Suites comes with a king bed and a sofa bed for those guests that you didn't necessarily plan on. If they're really in trouble, you can make them sleep on the desk. Satellite TV and pay movies are available for your entertainment pleasure, and the blackout drapes are there for your sleeping pleasure. This room also comes with voice mail, a clock radio, a refrigerator on request, and air conditioning with climate control. I've been a regular at Palace Station (9 visits in last ten years), and I've never taken the tower rooms, but I've never needed to. Clean, comfortable, unfussy motel style rooms for about $40 per night. 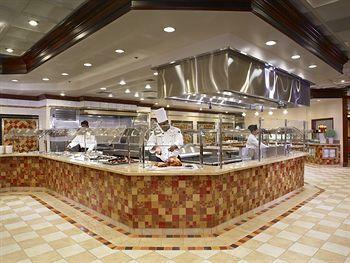 Huge casino, good buffet ($5 breakfast!!). If you're a budget traveler who doesn't mind using buses, welcome! Recently, thought I've taken to surfing hotel deals on Hotwire. I was surprised to get four nights on a weekend in August 2012 for a total of $105--until, that is, I discovered the dreaded $14.99 per night hotel fee. The fee is a sneaky way for them to avoid raising listed prices. Therefore, I can't advise you to stay unless you get $20 per night weekdays or $35 per night weekends. The resort fee includes a newspaper and free long distance calls from your room, but, really, who reads a newspaper? Or cares about free calls, since most cell phones are cheap or unlimited? I'm still satisfied about my booking, because the total comes to about $170 for the four nights, and that's acceptable. But you should beware. Stayed twice more than 5 years ago. Rooms were in the courtyard (older section) and they were well worn, small and had to walk through the service entrance to enter the casino. However they have one of the better buffets for the economically challenged visitors. Friendly table games, but tiny poker room.